The Tenth Year Anniversary performance season of FLATFOOT DANCE COMPANY takes place in March this year, with a performance of their new piece “LAST THOUGHTS”. 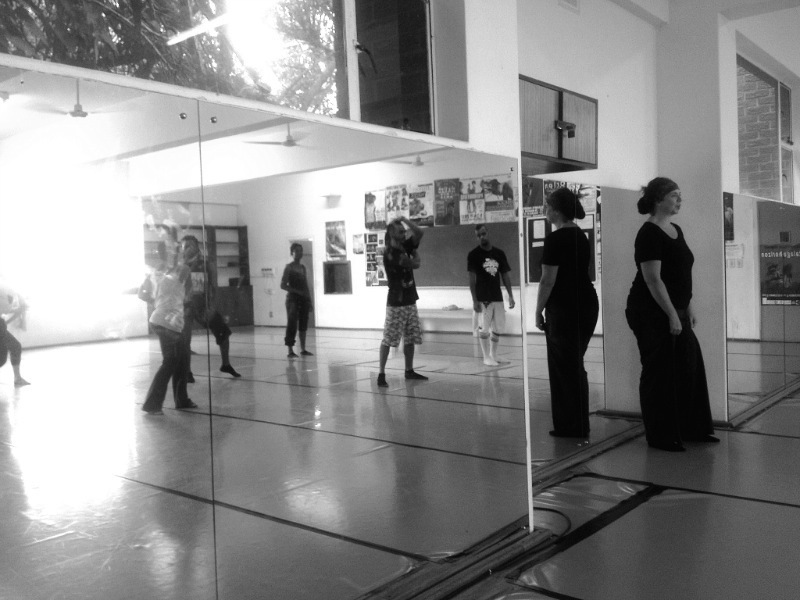 Artistic director of the company Leanne Loots calls this type of work a “choreopoem” and I have been privileged enough to participate in over ten of these works, partaking in the legacy of choreopoetry that Loots has engendered. A “Choreopoem” is multi-‘multied’: multi-media; multi-genre and multi-textual in a synergy that celebrates cutting-edge creativity. Video; Audio; Contemporary Dance; Breakdance; Graffiti Art; Hip Hop Culture; Spoken Word are all of the multiple layers that will combine in one work. It takes both a focussed energy and a wide open heart/mind/soul to conceive and construct a work of this nature, and Loots is no joker when it comes to accomplishing such a task. Our journey so far, over ten years (FDC formed while I was in first year at the then University of Natal) has been an immense privilege, and I don’t say that lightly. Loots and the company have consistently provided me with the most free and open space to write and recite my work, assisting me in developing what I can now call a career in the arts, through nothing more then heartfelt support and passion and true contemporary creativity. There is no denying the feeling of excitement at the thought of working on a fresh project with this company, and this season is taking our history of collaboration to a new level, with Loots incorporating a number of elements of Hip Hop culture into this “poem” and combining our two shared passions into one solid piece. I joined the process this week having had some initial meetings with Loots already, sparking some rough poetic drafts that I brought into the studio and began to edit while the dancers continued to choreograph and rehearse around me. This is the most amazing space in which to write anything. Physical texts are being explored, together with initial audio ideas for the eventual sound scoring of the piece, and I get to sit amidst all of that creative energy and let my pen work what it will. It sounds intense but in actual fact it is relaxed, grounded in its purpose and respectful in its process. I like to consider myself FDCs official “Poet-in-residence”, a title I have given myself, because in actual fact, if I have learned anything from Loots and her work and friendship, I am just another dancer, with words as the body of my language. With just over three weeks to go until we open, the work has just begun. I will be writing two original pieces, learning and performing a Bob Dylan text, beat-boxing and painting some Graffiti for this piece. I couldn’t be happier. Once again I am diving headfirst into the process, in anticipation of the pure soul satisfaction of another season with the company that has come to embody everything that I feel Art should be: conscious; relevant; exciting and educational, from the page to the stage. I’m not sure how specifically you mean “partaking in the legacy of choreopoetry that Loots has engendered,” but writer Ntozake Shange coined the term “choreopoem” and developed the form with the production of for colored girls in the 1970s.